Everyone is relying more and more on their smartphones and computers. And while you might be able do your entire college search online, you might miss out on a lot of information. Plus, who doesn’t love getting something fun in the mail? Want more information from a college? Do you like being able to write notes with a pen instead of your smartphone? Request a packet from a school you are looking at. Most college websites even have a link to this option on their homepage. Just ask and you will receive. You also will receive plenty of snail mail without even requesting information. Sometimes college’s mail invitations to exclusive events just for students like you or reminders for application deadlines. 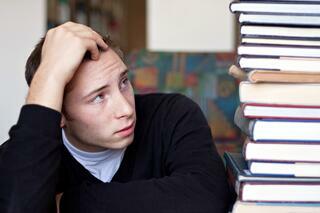 Life gets busy, and colleges know you may need a little heads up. Be sure to check your mailbox each day. From admission applications to scholarship forms, letters of recommendation could give you a big leg up even if they aren’t required. And your people – especially your busy teachers – will love getting an early request from you to write one instead of a frenzied call the night before a deadline. Don’t be shy about giving them a deadline either, as long as it is a realistic one. In addition, be intentional about who you ask. Think about people in your life who have made a positive impact on you or have seen you succeed in the school environment. Maybe that’s your volleyball coach, your chemistry teacher or principal. But don’t forget about some less obvious people. If you want to be a nurse and Mrs. Miller next door who has been in nursing for 30 years, ask her to write one. It’s never too early to starting figuring out how to pay for college. Ask your parents and extended family to look into any scholarship opportunities through their workplaces, organizations they are involved in (i.e., Chamber of Commerce, American Legion, etc. ), churches and other groups. Finally, ask that they either begin or continue to keep organized records of their taxes. You will need their tax information in order to fill out the FAFSA, which is required to be eligible for any federal student aid. Most colleges also require the FAFSA in order to consider you for their grants and scholarships as well. Make yourself a checklist or timeline with all of the steps you need to complete. From registering for the ACT and scheduling campus visits to submitting applications and sending in deposits, the college search process can be dizzying. You don’t want to miss out on a $5,000 scholarship just because you got the deadline wrong. Need help? 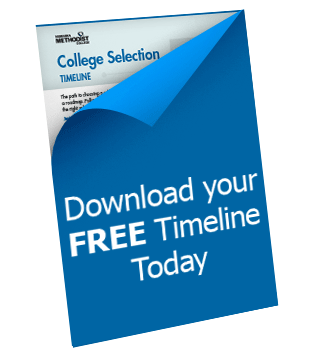 Download our free College Selection Timeline to keep you on track.